Home / Food-Drink / COCKTAILS YOU CAN NOW EAT! COCKTAILS YOU CAN NOW EAT! Bengaluru, 31stJanuary 2019: Begin the New Year with some new twists to tickle your palate. Sheraton Grand Bengaluru Whitefield Hotel & Convention Center asks you, why guzzle a cocktail when you can gobble it? 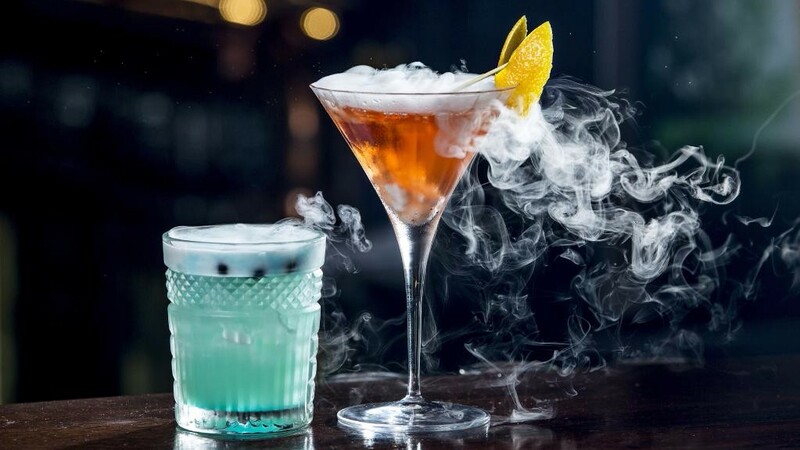 The only way to find out is to head to the lobby bar Chime for a drinking experience like no other as you indulge in bizarre Molecular Cocktails. Bringing science to the shaker, witness the innovative and skilled bartenders as they whip up, muddle, blend, layer and use techniques that will leave you enthralled. Some of the molecular cocktails include; Penicillin Drops, a blend of Red label, Homemade Ginger Syrup and Freshly Squeezed Lime Juice, Captain’s Beard a creative concoction of Bacardi White Rum, Spiced Water and Passion Fruit Syrup, and Aquavit a mix of Camino Silver, Triple Sec and Rose Water. Gone are the days when cocktails were just for drinking, head to Chime bar at Sheraton Grand Bengaluru Whitefield Hotel & Convention Center and experience eating them too!